Westminster Woods’ Skilled Nursing and Rehabilitation Center, The Oaks Health Center, provides 24-hour personalized care and special services to our residents based on their unique individual needs. Our services include a range of long- and short-term skilled nursing care services including rehabilitation therapy, care for people with Alzheimer’s Disease and other forms of memory impairment, respite services and hospice services. Selected in 2010 by U.S. News and World Report as one of the top 173 nursing homes in the country, The Oaks at Westminster Woods strives to provide the highest quality of care in an environment that is caring, supportive, and helps our residents retain their joy of life. In addition, the Commonwealth of Pennsylvania Department of Aging and the Office of Long-Term Living has named The Oaks one of the inaugural recipients of the Excellence in Quality Care Award. Only twelve facilities in the Commonwealth have earned this honor. Westminster Woods at Huntingdon is in a very select group of outstanding Pennsylvania nursing facilities that received both a Five-Star quality rating from the Centers for Medicare & Medicaid Services, as well as meriting a deficiency-free survey from the Department of Health in 2009. 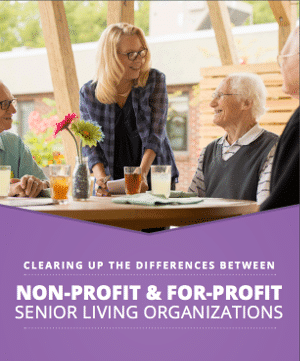 To put this in perspective, only 1.8% of nursing facilities achieved this dual distinction. As with all levels in our continuum of care, our licensed nursing staff works in concert with residents and their families, as well as the rest of our team, to ensure each individual’s needs are met and that services are adjusted as those needs change. In addition, if you are admitted for a respite stay, recuperative care or short stay rehabilitation, our discharge planning support will help to ensure that everything is ready for your return home.